Do you get some emails that you wonder if it came from George Fox or not? 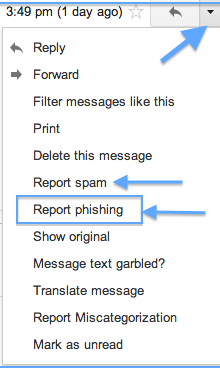 Here’s what to look for and how you can tell if it’s a phishing/spam email or legitimate. Most important--the George Fox IT Service Desk will never ask you for your username and password. You should never submit your George Fox credentials to any one. Phishing is the act of sending emails to random receivers purporting that the emails are from a credible company that operates online. These types of emails will normally direct you to other websites where you are required to fill in a lot of personal information. Phishing schemes often involve emails that appear to be from legitimate companies asking you to reset your password or give your private information, though when you click the provided link, you are sent to a bogus site designed to steal the information. What can you do if you think you received a phishing email? Also be wary of any email that self-proclaims that it is not spam/phishing. Here is an excerpt from a recent phishing attempt: "If you receive this email in the spam/junk, move message to inbox to perform all data transfers securely." Most important--the George Fox Service Desk will never ask you for your username and password. You should never submit your George Fox credentials to any one.